Jean-Claude Juncker has become involved in a massive favouritism storm that could potential see him lose his job. Juncker went against all advice and recommendations by appointing German Bureaucrat Martin Selmayr, known as The Monster. Leading MEP's including the normally pro-Juncker Guy Verhofstadt have quickly turned against Juncker saying that this decision is "damaging for Europe as a whole". The European Ombudsman, an independent EU body that looks into wrongdoing, is looking into conducting an investigation as well as an additional probe by the European Parliament. Juncker said in response: "Selmayr has one thing in common with me – we both have enemies!" MEPs took part in emergency debate on the issue in Strasbourg where they want urgent action and have called for Selmayr to be dropped immediately. 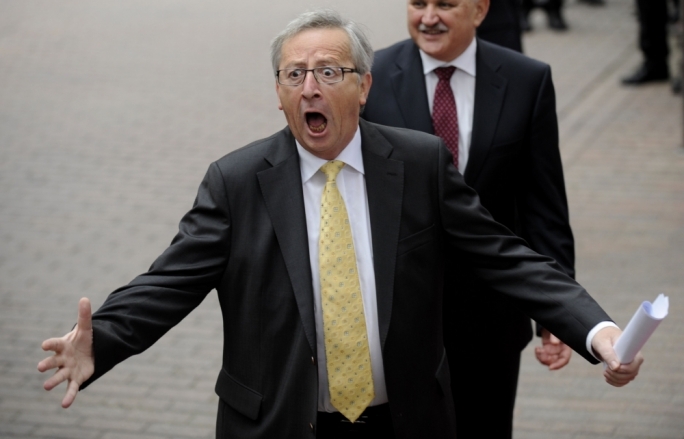 One MEP said Juncker was behaving like a dictator in One Party China. They said that allegations of rule-breaking had turned the EU into a laughing stock that would prove more damaging than the existence of Eurosceptic parties. Nigel Farage tore into them saying: "Selmayr’s appointment is like a palace coup under cover of bureaucratic darkness. It smacks of nepotism, unaccountable government, abuse of public funds." Speculation is rife that Selmayr got the job by promising to improve the retirement packages offered to the EU commissioners who agreed the move when they retire. Gunther Oettinger an EU Chief responded: "We shouldn’t turn Mr Selmayr into some kind of monster. He’s not a monster. Please give him a chance." Do you agree we need out of the corrupt EU straight away? Read: "OUTRAGE as Chancellor announces Billions of pounds of spending!"